What is the cheapest way to get from Coleraine to Ballymoney? The cheapest way to get from Coleraine to Ballymoney is to drive which costs £1 - £2 and takes 10m. What is the fastest way to get from Coleraine to Ballymoney? The quickest way to get from Coleraine to Ballymoney is to taxi which costs £20 - £24 and takes 10m. Is there a direct bus between Coleraine and Ballymoney? Yes, there is a direct bus departing from Coleraine and arriving at Ballymoney Charles Street. Services depart every two hours, and operate every day. The journey takes approximately 13m. Is there a direct train between Coleraine and Ballymoney? Yes, there is a direct train departing from Coleraine and arriving at Ballymoney. Services depart hourly, and operate every day. The journey takes approximately 13m. How far is it from Coleraine to Ballymoney? The distance between Coleraine and Ballymoney is 7 miles. The road distance is 7.9 miles. How do I travel from Coleraine to Ballymoney without a car? The best way to get from Coleraine to Ballymoney without a car is to line 218 bus which takes 13m and costs £3 - £5. How long does it take to get from Coleraine to Ballymoney? 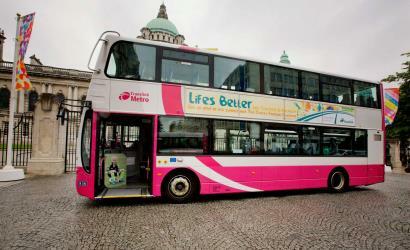 The line 218 bus from Coleraine to Ballymoney Charles Street takes 13m including transfers and departs every two hours. Where do I catch the Coleraine to Ballymoney bus from? 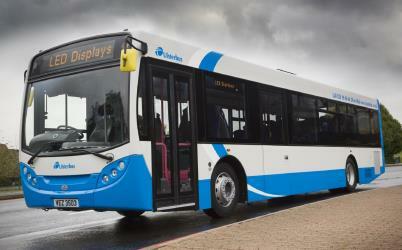 Coleraine to Ballymoney bus services, operated by Translink UK, depart from Coleraine station. Where do I catch the Coleraine to Ballymoney train from? Coleraine to Ballymoney train services, operated by Translink UK, depart from Coleraine station. Train or bus from Coleraine to Ballymoney? The best way to get from Coleraine to Ballymoney is to line 218 bus which takes 13m and costs £3 - £5. Alternatively, you can line 3 train, which costs £4 - £7 and takes 13m. What companies run services between Coleraine, Northern Ireland and Ballymoney, Causeway Coast and Glens, Northern Ireland? 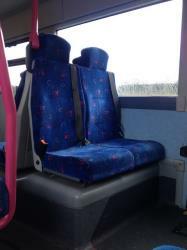 Translink UK operates a bus from Coleraine to Ballymoney every 2 hours. Tickets cost £3 - £5 and the journey takes 13m. Alternatively, Translink UK operates a train from Coleraine to Ballymoney hourly. Tickets cost £4 - £7 and the journey takes 13m. Where does the Coleraine to Ballymoney bus arrive? Coleraine to Ballymoney bus services, operated by Translink UK, arrive at Ballymoney Charles Street station. Where does the Coleraine to Ballymoney train arrive? Coleraine to Ballymoney train services, operated by Translink UK, arrive at Ballymoney station. Can I drive from Coleraine to Ballymoney? Yes, the driving distance between Coleraine to Ballymoney is 8 miles. It takes approximately 10m to drive from Coleraine to Ballymoney. Where can I stay near Ballymoney? There are 372+ hotels available in Ballymoney. Prices start at £65 per night. Discover how to get to attractions and hotels near Ballymoney. The Giant's Causeway is an area of about 40,000 interlocking basalt columns, the result of an ancient volcanic eruption. It is located in County Antrim on the north coast of Northern Ireland, about three miles (4.8 km) northeast of the town of Bushmills. Dunluce Castle is a now-ruined medieval castle in Northern Ireland. It is located on the edge of a basalt outcropping in County Antrim (between Portballintrae and Portrush), and is accessible via a bridge connecting it to the mainland. The castle is surrounded by extremely steep drops on either side, which may have been an important factor to the early Christians and Vikings who were drawn to this place where an early Irish fort once stood. Ballintoy is a small village, townland (of 274 acres) and civil parish in County Antrim, Northern Ireland. It is alongside the B15 coast road, 28 km north-east of Coleraine, 8 km west of Ballycastle and between it and Bushmills. It is in the historic barony of Cary. The village lies about one kilometre from Ballintoy Harbour, a small fishing harbour at the end of a very small, narrow, steep road down Knocksaughey hill which passes by the entrance to Larrybane and Carrick-a-Rede Rope Bridge. The harbour is host to a dawn service on Easter Sunday each year. Rome2rio makes travelling from Coleraine to Ballymoney easy. Rome2rio is a door-to-door travel information and booking engine, helping you get to and from any location in the world. Find all the transport options for your trip from Coleraine to Ballymoney right here. Rome2rio displays up to date schedules, route maps, journey times and estimated fares from relevant transport operators, ensuring you can make an informed decision about which option will suit you best. Rome2rio also offers online bookings for selected operators, making reservations easy and straightforward.